It been a long time since people could produce an consume without thinking about the consequences, do you agree with us ?! Environmental issues are on the agenda. The last South by Southwest (SXSW) Festival, which took place this March/2018 in Austin, Texas, has taken up the theme of sustainability in a context of increasing production and consumption in the world. In the conference “How can sustainability coexiste with consumerism?, Jim Walsh, founder of the Human Energy System Institute (HESA), said that the only way the two concepts share space is by joining government efforts (with effective public policy) of consumers (increasingly aware) and of companies (with good production and marketing practices). And what about sustainable product design? Much is said about green design or sustainable design, at architecture and building houses. On how to take energy efficiency into account with renewable energy sources; sustainable building materials, and practices that generate the least possible environmental impact. But what about product design? What can we do to value sustainability and more conscious practices of production and consumption? An example we love is the work of young designer Beau Birkett, from the UK. In the photo below is the Håll collection, in which one the materials that makes the product is made of PET bottle. Beautiful and sustainable! As discussed in Walsh's lecture, we, brands have a lot of responsibility for sustainable design. Here at Studio Deusdara we believe that sustainability in design and decoration goes far beyond the use of recycled furniture and objects. Choice of non-environmentally friendly sealing oils such as oil used in God's Serving Table and Victoria's Table. Hiring local suppliers and producers, who make use of less aggressive industrial processes. 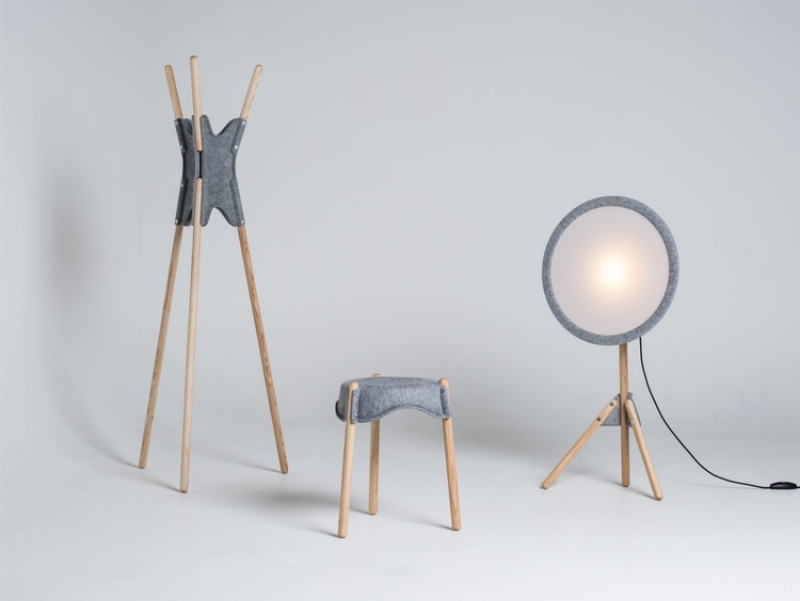 Bu Lamp with the "burel skirt"
And your responsibility as a consumer? Buy consciously - do you need to change all the furniture in the room at once? Always consider your need. If it's not really important, leave it for later. Understand: less is more! - Mies van der Rohe's maxim is more current than ever. 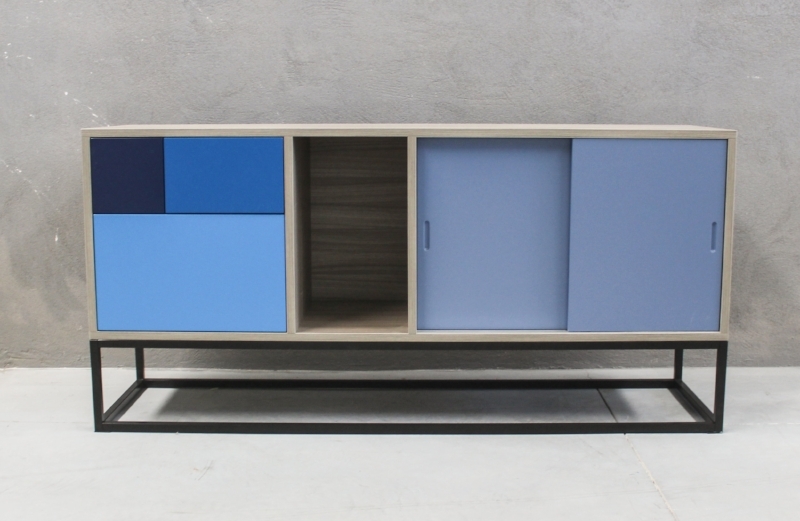 Stop accumulating, collecting ... Minimalism is a trend in design, but also in attitudes. Learn to choose - see if the product is truly sustainable, opt for recycled and transparent brands. Learn to take care - there's no point paying more for a quality product if you don't do the right maintenance. Get tips from the product manufacturer. We make some available here on the site, we send others on the labels that accompany each product and we have many channels available to our customers to clarify any doubts. 5. Give new uses - reuse, think about how your furniture can be reused, or buy a furniture that has already been developed to be multipurpose, such as our Plywood Stool. It is stool, but also a side table! 6. Ask yourself why that product is so cheap - sometimes it's not just because it produces in volume, but because the material they often use is poor in quality, the workforce is disqualified and often has your rights violated. Be a critical consumer! 7. Prioritize small brands - try to buy less of those mass-branded furniture that have thousands of stores worldwide and offer standardized and bland products. Take a vote of confidence for brands that are just starting out and companies that are betting on small producers. Usually, your production processes are much more sustainable and correct. If everyone does their part, we can commit ourselves to the universal well-being, to the environment, to the present and future generations.